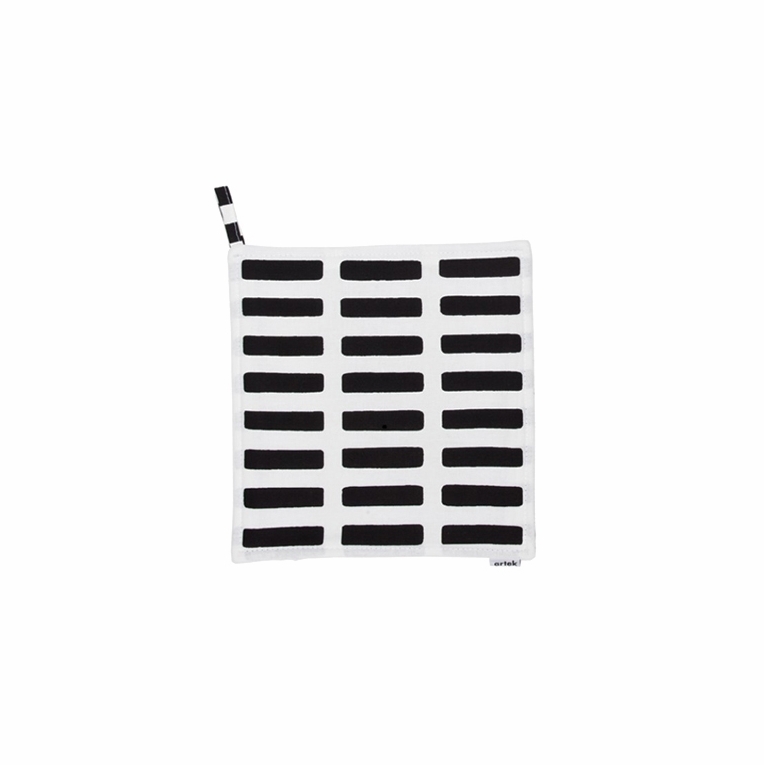 Handle hot items stylishly and sensibly with the Artek Siena White/Black Pot Holder. Part of the abc Collection, this potholder features the simple, architectural Siena print designed by the beloved Alvar Aalto on thick yet soft 100% cotton. Aalto named the Siena print after his favorite city in Italy, where he spent his honeymoon and revisited many times. Keep the tradition alive and cook with love using the Artek Siena White/Black Pot Holder.